Pablo Piatti is set to leave Valencia CF and right now has three interested parties in French Stade Rennais, and two Spanish clubs that want to get him on a one year loan. Valencia CF president wants to sell Piatti so he can get the money and of course balance the budget, but at the same time he is reducing the quality and quantity of the squad. I mean Pablo Piatti may not have turned out the second Messi fans hoped he will, but he hasn't been a complete disappointment either and I don't think we need to get rid of him this easily. 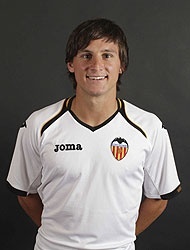 Chances are that Pablo Piatti will leave if Valencia CF reaches an agreement over the transfer fee with Stade Rennais.